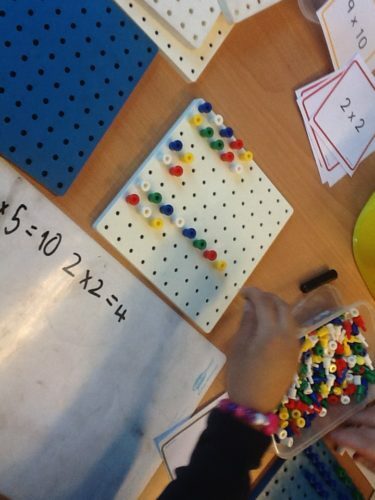 Last week, parents were invited to our classrooms to have a look at how we teach maths in the classroom and how maths can be supported at home. 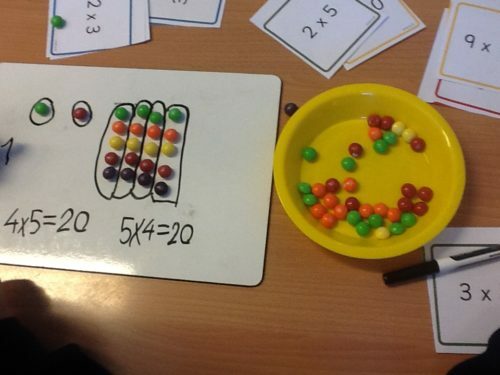 In Yellow Class, parents and students learned that arrays for multiplication and division can be made out of anything – even sweets! 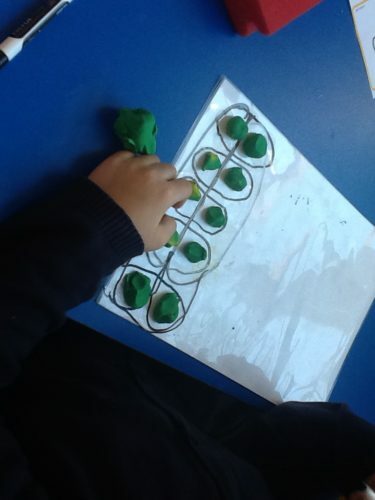 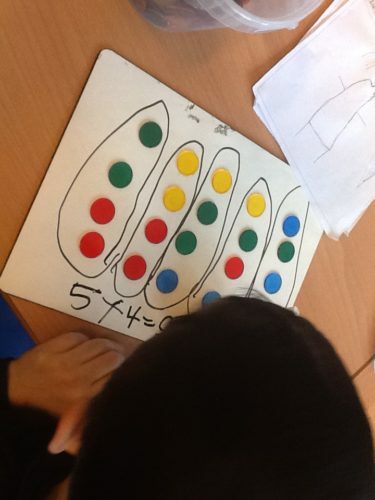 We had a go making arrays out of different resources including play-doh, counters, pegs, pens and skittles. 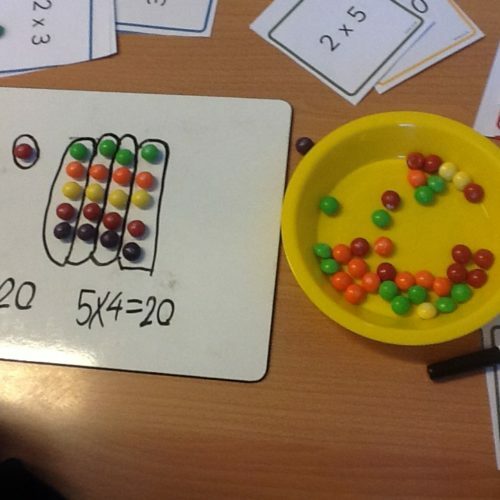 The parents for it hard trying not to eat the skittles!